At the end of last week, Bose made somewhat of a surprising move when it announced it was acquiring meeting room start-up, ZiipRoom. ZiipRoom came out of stealth mode in June 2018 with a big promise -- to simplify the use of multivendor meeting rooms. Through a single mouse click or screen tap, users can join a meeting regardless of which vendor’s technology is in use. An easy way to think about this is that ZiipRoom delivers an experience similar to a Skype Room System or Webex Meeting Space but with virtually any hardware or service. Given the value of facilitating multivendor meeting rooms it shouldn’t be a surprise that ZiipRoom was an acquisition target, but Bose seems a bit of an odd acquirer. Everyone knows Bose as a company that delivers excellent audio products. 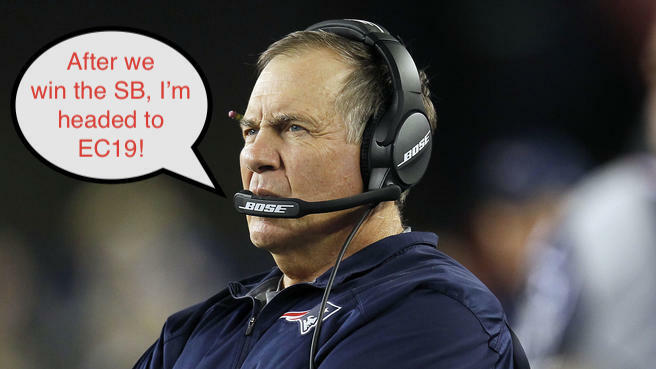 In fact, if you happened to be watching this past weekend’s NFL playoff games, you would have seen the always scowling Patriots’ Head Coach Bill Belichick donning his Bose headphones. The quality of consumer headsets is unparalleled, but what does this have to do with huddle rooms and other meeting spaces? From a Bose perspective, the answer would be to outfit these rooms with its high-quality audio equipment. However, as we all know, there’s more to meeting rooms than just audio equipment. Cameras, mobile endpoints, content, screens, integration with calendars, and a whole lot more go into making meetings effective. I’ve heard rumors that Bose has been looking at the business conferencing and collaboration market as a growth area, and ZiipRoom gives it an entree. After the deal closes, ZiipRoom will integrate into the Bose Professional group, a division that focuses on professional audio designers, consultants, and systems integrators. ZiipRoom Co-founder and CEO Martin Bodley will remain with Bose and be heading up the new enterprise conferencing group within Bose Professional. Beyond meeting rooms, a much bigger opportunity at play for Bose is making Internet of Things (IoT) endpoints smarter. ZiipRoom has the ability to make things like connected TVs and in-room audio equipment smarter, and its open architecture would let this intelligence be extended to other endpoints. Bose has established relationships with almost all auto manufacturers, and anyone who followed the news from last week’s CES show knows that the trend in cars is connectivity for a wide range of purposes. It’s not a stretch to think that Bose could make it easier for workers to join calls from their cars. I’ve met with ZiipRoom a couple of times and know it has many ideas but not enough capital to bring more solutions to market. With the Bose acquisition comes deep pockets, and the potential to expand into any area it chooses. In addition, Bose recently introduced new wearables such as audio-enabled sunglasses and speakers that complement its headphones. By building relationships with businesses via meeting spaces, Bose could then challenge Logitech, Plantronics, and Jabra by offering headsets procured through the IT department. One differentiator for Bose would be in the area of meeting experience continuity, where a call that starts in a conference room could transition to wearable and then into the car once the driver is buckled in. Bose didn’t announce a purchase price, but I believe ZiipRoom only raised a few million in funding so given it just came out of stealth mode, I can’t imagine the price tag being more than $10 million, if that. If so, Bose will get some good technology at a relatively modest price and the investors will likely get a decent return, creating a win-win. Early ZiipRoom customers should be happy as the Bose ownership will take the risk out of their decision to purchase a newcomer’s solution. The ZiipRoom acquisition will add another big-name company to the growing list of business-focused communication and collaboration vendors. Learn all about the latest in meeting room technology at Enterprise Connect, March 18 to 21 in Orlando, Fla. Register by this Friday, Jan. 18, for the lowest rate -- and use the code NJPOSTS to save $200 off the price.